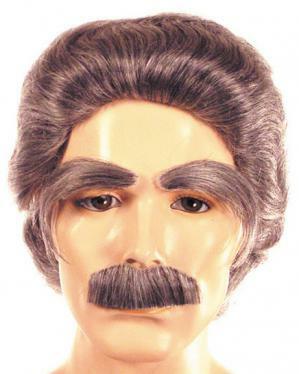 The bushy eyebrows, the think lip covering mustache, and the rugged, tousled wig combined with colors make this set even more spectacular. Both men were brilliant in not only their lifetimes, but also with the lifetimes following theirs. They crossed boundaries in order to set rules that the rest of us might live more peaceful lives, hoping that their characters would teach us life lessons that might over wise be too hard to handle. Both Samuel Clemens (aka: Mark Twain) and Albert Einstein had looks all their own, and they came to enjoy the life that came to them.